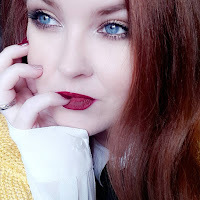 Everyone loves a subscription box, until you get bored of them (if you're anything like me, that can happen rather quickly!) 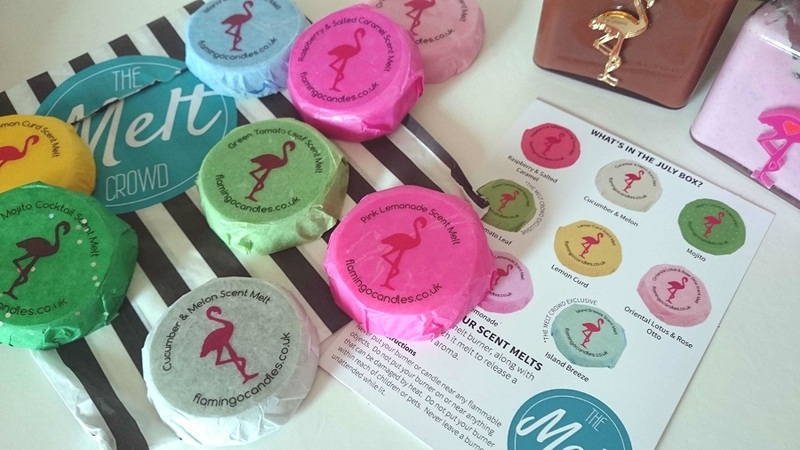 but Flamingo Candles have come up with a way to combat the tired beauty box subscription services, by introducing a melt subscription box! There are a few points that make this a better subscription service than most. Firstly, there is something different in every box. Second to that, the box fits nicely through letterboxes, meaning no pesky "you weren't in" notices from your postie. The subscription service itself is easy to sign up to AND easy to cancel. Thus far, I've received both the June and July Melt Crowd subscription box from Flamingo Candles and I can say that each box has been wonderful. Packed full of wonderful scents such as Pink Lemonade, Mojito Cocktail, Raspberry & Salted Caramel and so much more, this is a great budget-friendly way to scent your home. 8 scents last me longer than just the 1 month so I'm building up quite the lush stash of sweet smelling fragrance for my home. 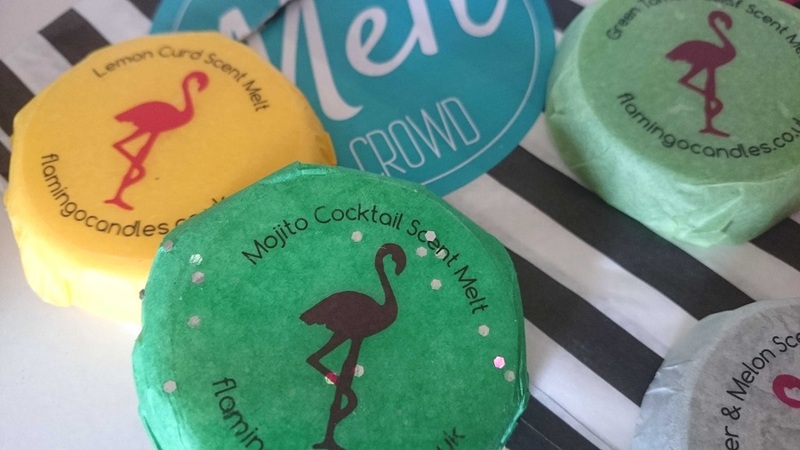 The burn time for one scent melt is approximately 30 hours and I find, particularly with the Flamingo Candles scent melts, they scent a room really well. 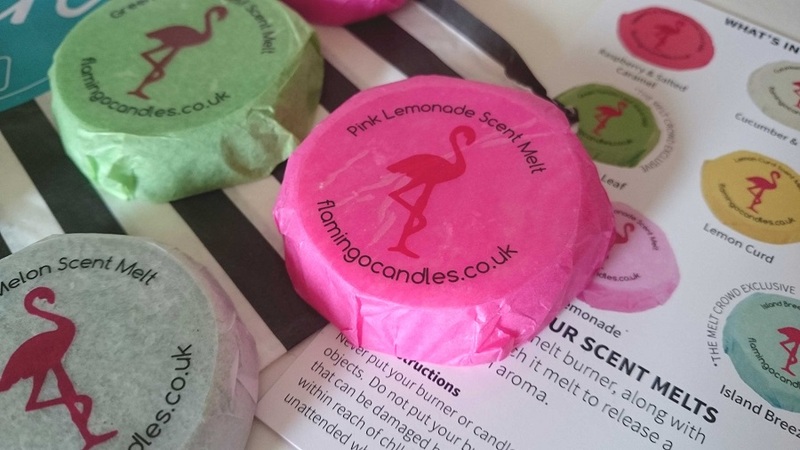 Sometimes with the likes of Yankee Candles, their melts or tarts don't carry the scent well so this is another tick for Flamingo Candles.